"I've learned more from Mike on how to structure a profitable blog in the past three months than I have in the previous two years trying to piece things together on my own. The video lessons are clear and concise and cover a vast range of topics. The interactive forum creates a real sense of community and everyone is super helpful and polite. I love the fact that I can find the answers to all my questions in one place." 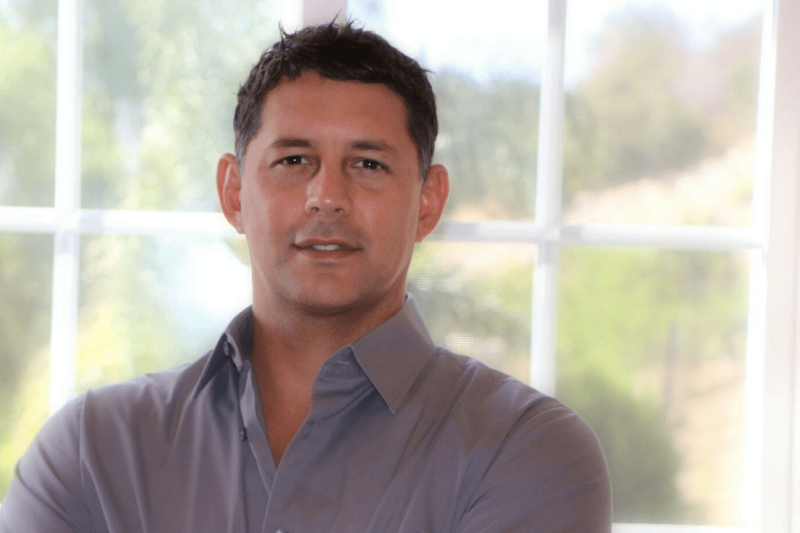 "The Blog Creators & Marketing Academy was a total game-changer and gave me everything I needed to transition to a conversion focused and most importantly profitable blog. The technical guidance, the encouragement, and the sense of community make being a member well worth it. Mike is great at making himself available to the community to answer questions, provide feedback , and give his expert advice. Hey Mike, thanks again for your insight. Use our Quick Wins section to guide you through everything that you need to do whether you're at the planning, creating, launching or growing stage of your site. Quick Wins are short video lessons designed to solve your most burning problems. Unlike full blown Courses, Quick Wins are designed to resolve issues in 15 minutes or less and you can pick and choose which lessons apply to your particular situation. These lessons are created based on member feedback and needs. Get exclusive behind the scenes insight into the Blog Creators & Marketing Academy - see what we're experimenting with and get the inside scoop on what worked and what didn't! Receive access to a selection of exclusive member-only tools, plugins, downloads, checklists and more - plus receive special perks & discounts. "I was just starting out with blogging. I didn't really know what a blog was or how to build one, all I knew was that I needed one if I wanted to be able to reach my audience online. I was lucky enough to find Mike's How to Start a Blog in 20 minutes tutorial. I was able to get my blog up and running but I was still clueless about how to use WordPress or how to market my site. As a member of the Academy I was able to move through the courses at my own pace. When I need help the community or Mike is always available." "My conversion rate has never been higher. After learning how to structure my blog in the Blog Monetization Matrix course I'm getting over 200% more conversions. The Blog Creators & Marketing Academy has been by saving grace. Thanks again Mike!." "The Academy is full of in-depth, practical resources on all areas of planning, building, running and growing a successful blog..."
Free Access to the Genesis Framework Plus a Bonus Child Theme! 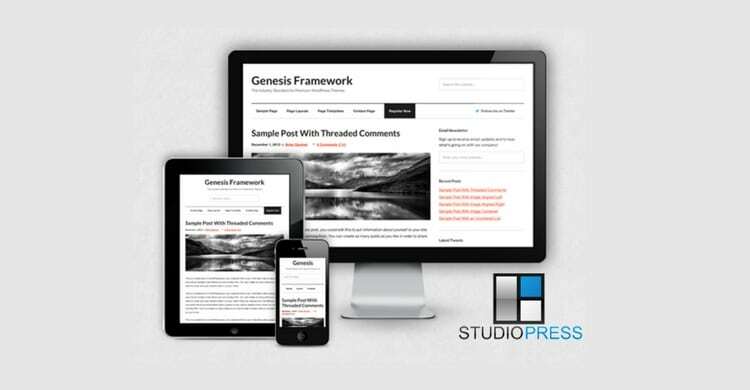 We've purchased the Genesis Framework and a Premium Child theme from StudioPress to help you get off the ground quickly with your website. An over $100 value included in your membership absolutely free! We offer a full course on how to use the Genesis Framework to build your website. 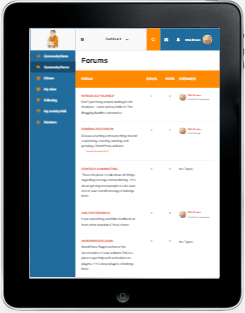 The Genesis Framework is considered the Gold Standard of WordPress themes and is available to you completely free as part of your membership. 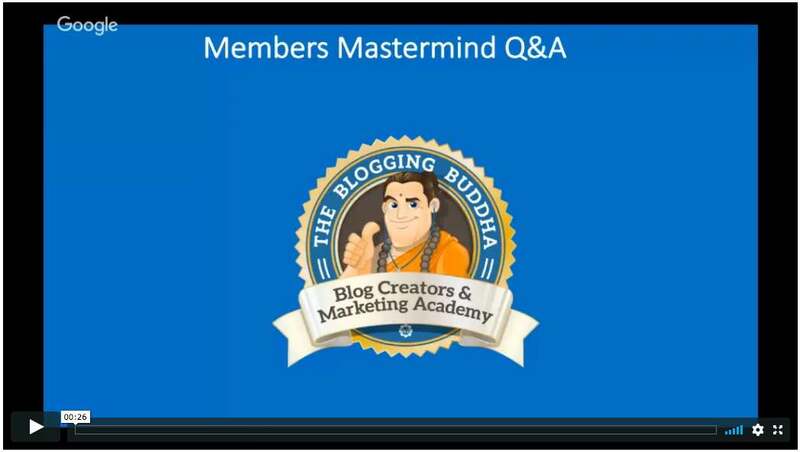 "The Live Member Mastermind sessions are so much fun and extremely helpful. Everyone in the Academy helps create a real since of community. I love being able to get direct feed back to my specific questions and I am even able to have full consultation and strategy sessions with Mike when I need them." "If you are new to website design or blogging the Blog Creators & Marketing Academy is the best place to start your journey. 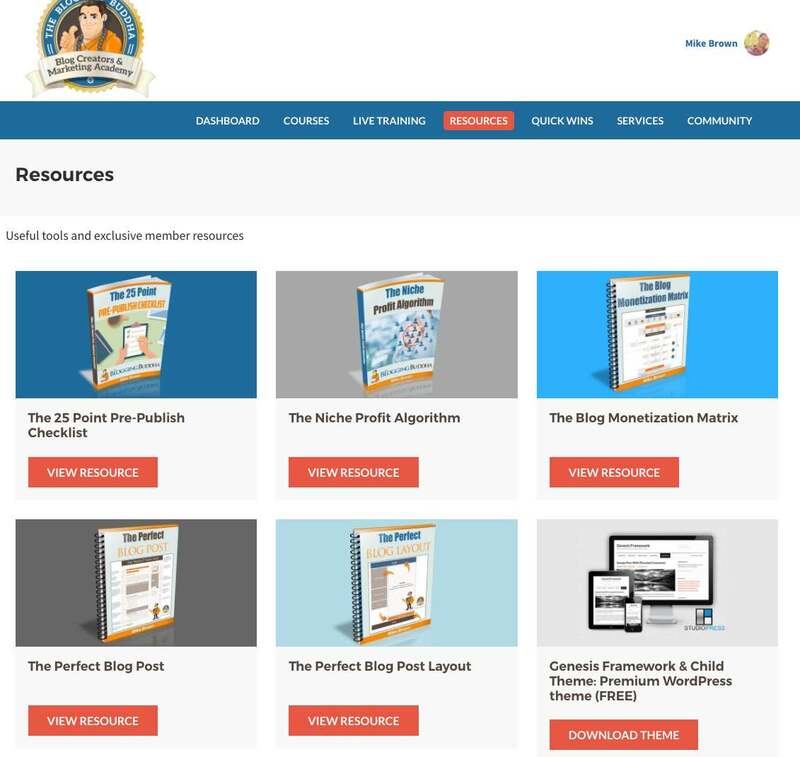 I learned how to use the essential blogging tools Mike recommends to build a professional website that actually converts. Do yourself a favor and stop trying to "go it alone". If you take the courses seriously you'll be able to monetize your blog and start earning profits almost immediately." 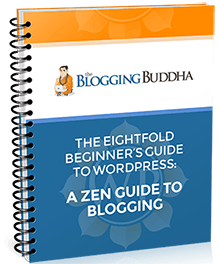 Hi, I'm Mike and created ﻿"The Blogging Buddha" website for you! With over 10 years of online marketing experience in the WordPress industry, I've been privileged to work with many amazing and talented entrepreneurs. I've studied a diverse range of topics - from web hosting to graphic design to search engine optimization (SEO) to email automation. I've become a seasoned veteran who can help you take immediate advantage of the most powerful tools and techniques available today. My focus is on helping entrepreneurs and small business owners to create successful websites which bring them $3,500 - $10,000 per month. When I'm not busy researching the latest SaaS software, SEO techniques or WordPress plugins I'm geeking out over marketing strategies and enjoying life in sunny southern California (Los Angeles to be exact) with my beautiful wife Luiza and our amazing son Anthony. "Mike helped me turn what was merely a vague idea into a well developed business website. I went from rough concept to online market in under 12 months!" "The academy helped me get started creating my first fashion blog within hours. I definitely recommend joining the academy if you are interested in creating a serious blog and monetizing it.!" When you join the Blog Creators & Marketing Academy, you are fully protected by our 100% Satisfaction-Guarantee. If you don't feel like you've received value and you decide you want to cancel any time within the next 30 days, just let us know and we'll send you a prompt refund. No hassles, headaches or hoops to jump through. "We're so confident that you'll find the Blog Creators & Marketing Academy useful that you have 30 days to change your mind. We won't make you beg or invoke any silly rules or conditions - if you're not satisfied within your first 30 days then we'll refund you without any hassle." I'm still at square one with my WordPress website, will the Academy be right for me? Absolutely - the Academy covers every stage of planning, creating and growing a WordPress website - from the very start where you just have an idea and nothing more. In fact now is the perfect time for you to join the Academy; as not only do we have training that will take you through every step, but you'll also be able to get support and advice from within the community too, to help you through your journey. Does the Blog Creators & Marketing Academy provide a platform for me to create my website on? I'm afraid not! The Academy is an education based membership that provides training and resources to help you create, launch and grow a WordPress website. We do offer a premium WordPress theme built on the Genesis Framework. 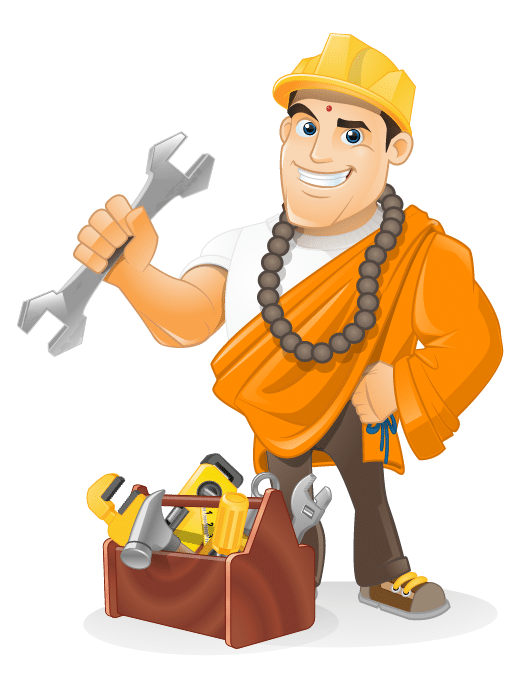 We also provide several walkthroughs of most of the major plugins for WordPress. I already have a WordPress site that's doing well, what can the Blog Creators & Marketing Academy do for me? Assuming you want to keep growing your website then the Academy can help you with fine tuning your customer acquisition, conversion optimization, engagement, and retention strategies; as well as supporting you with working towards your future goals. This is certainly not a "beginner only" community - far from it! You get access to everything already inside the Academy straight away! No waiting for content to be released to you, just jump in and start making use of the training straight away. You can view our current course listings here. We will be regularly releasing new courses as well though - so your content library will continue growing. New content is added regularly so you'll never be short of something new to learn! We have a wealth of great content already and no end in site of all the different trainings that we could do - plus you have the chance to put forward your own ideas too if there's something you really want to see added. Not only can you ask questions and get advice, support and feedback from within our community; but we also run Bi-weekly Q&A sessions, where you can pre-submit your questions for me, or even ask them live. On top of that, we also have member feedback options, where we'll provide feedback on your ideas, sales page, design or anything else you'd like our input on. Why should I become a member right-now instead of waiting? It's time for you to take action. Simple as that. If you really want to make a have a successful, profitable WordPress website then you need somewhere to get answers for all of your questions. You need support, community, and most of all... accountability! The Blog Creators & Marketing Academy is that place. If you really want to make a difference, the time is now. What if I don't enjoy the Blog Creators & Marketing Academy? We know you will LOVE the Academy, however, if for whatever reason you're not 100% satisfied in any way we have a 30 day money back guarantee (no questions asked). 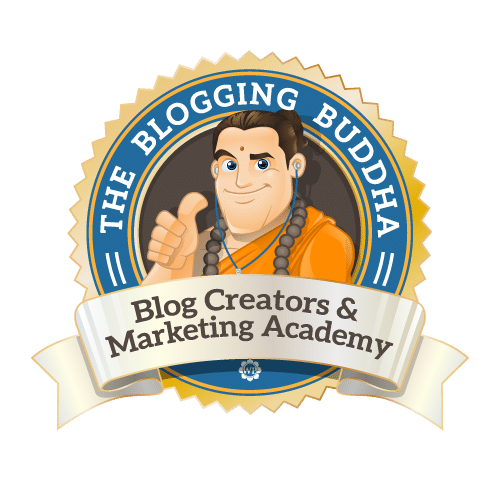 We want you to succeed, and know that if you become a member of the Blog Creators & Marketing Academy and really put your heart and soul into it… you will see amazing results! Obviously we'd love it if all of our members stuck around forever but know that is not possible. If you do decide to cancel obviously we'll be very sad, but if you're intent on leaving then you'll be able to do so with just 2 clicks of a mouse. However - we recognize that sometimes you may not want to leave, but perhaps the timing just isn't right for you, maybe something has come up in your personal life, or your project has had to be put on hold and you just can't justify paying for something that you know you'll not be able to utilize for a few months. So you can also put your account on hold for a few months if need. Can I access the content released at the Blog Creators & Marketing Academy during my membership once I cancel? If there is anything at all that you're not positive about, something we haven't made clear; any concerns or questions then please do contact us at support@thebloggingbuddha.com and we'll help you out. "When I first logged into The Blog Creators & Marketing Academy I was amazed at how at how well organized everything is. Finally there's a place I can go to converse with like minded people who all share my same passions! My website is finally starting to come together, and I am learning new ways market to my demographic. The Academy is a game-changer!." 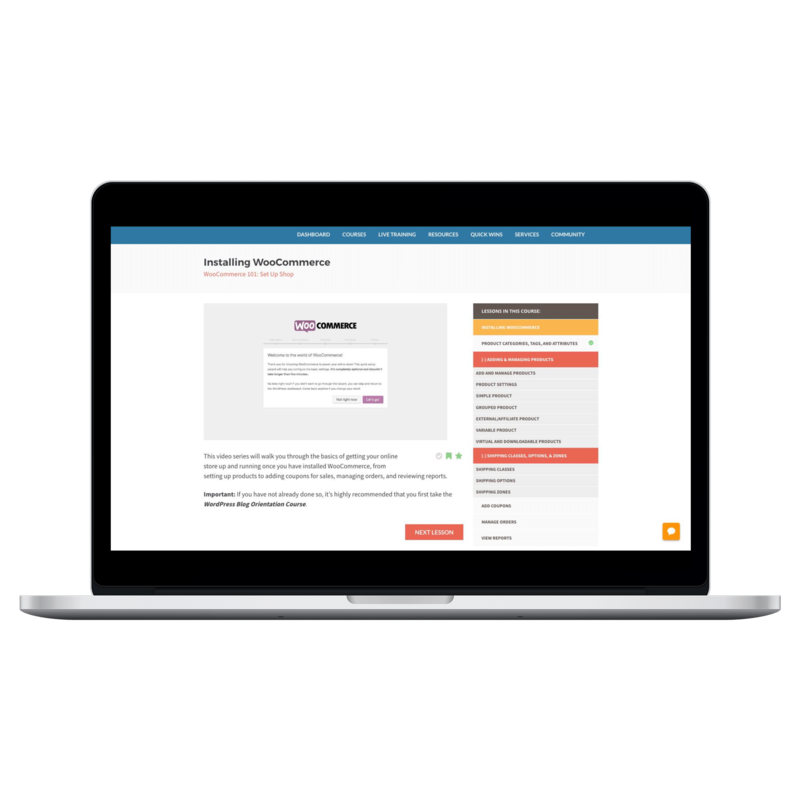 "The course videos are incredibly helpful and having feedback from the community with direct support from you is amazing. The extra time you have given me to help with my ideas is very much appreciated." We appreciate your patience while we make major improvements to the membership area. The Academy Is Currently Undergoing Major Renovations! And is Temporarily Closed to New Member Signups. How to Build Your First Profitable Blog!